A pack of 8 sweet treat small plates. 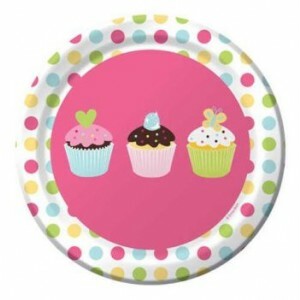 These are a great size for a dessert or side plate for your baby shower or other cup cake themed party. A pack of 8 plates - 6 3/4" diameter.